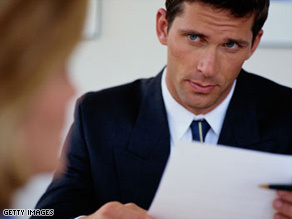 The Worst Case Scenario, or Why Your Job Interview Will Be Fine. Job interviews can be nerve-wracking experiences, and nervousness can push a person to do all sorts of silly things. There are some smaller generally bad things you can do in an interview, like avoiding eye contact or making a constant whining noise, maybe pinching your nose and whooping every time someone uses a verb, but there are considerably larger more damaging things as well. If you have a job interview coming up and you’re a little nervous, let’s explore the absolute worst that could happen, so that your job interview doesn’t seem so overwhelming and frightening, and you won’t be so nervous you do something silly. Interviewers often like to ask the question, “what would you say your biggest weakness is?” This is the perfect opportunity for you to tell them how you just care too much, you’re almost aggressively punctual and that you’ll never forgive yourself for that time in 2002 when you forgot to add an attachment to an e-mail that still sometimes keeps you awake at night, although not late enough to effect your punctuality. A bad thing to bring up in interviews is any anger management issues. It’s especially bad if you then go on to relate a long anecdote about that time you punched a man in administration because he held a stapler like a pen. One person once told an interviewer, “I was fired from my last job because they were forcing me to attend anger management classes.” It’s impossible to tell how such a thing would make them feel. Another interviewee said, “Would it be a problem if I’m angry most of the time?” This person knows what they want from life. Maybe it really helps them focus. Generally, a bad weakness to admit having is many, many weaknesses. People might not see that as a fantastic opportunity to teach you new skills and build you from the ground up. One of my personal weaknesses was being unable to keep eye contact. So, in my first proper job interview I decided to stare at them, really go for it, and ended up focusing so hard on keeping eye-contact that I had absolutely no idea what was being said in the interview. I nodded during pauses and said yes a lot, and somehow ended up getting the job. But after the interview, I realised that I had no idea what the job actually was. It turned out to be a sort-of pyramid scheme-lite. Apparently, an interviewee once fell and broke his arm in an interview. Apparently in the sense that I found the sentence on a website called Linky-Dinky, so I’m going to take it as fact. It doesn’t say how it happened, which is somehow worse. Possible reasons are that the interview involved wrestling a horse, which is a really good judgement of character, or the candidate was standing on a chair to assert their dominance, which is a really good judgement of dominance. And Chair strength. But the mystery may never be solved. Other things to avoid during an interview is bringing a pet or wearing a costume. Which has definitely happened, maybe even both at the same time. You risk unleashing all sorts of potential allergies and dog eggs all over the carpet. But you could potentially scare an employer into giving you the job with a massive dog or a flock of poorly trained jackdaws, so that’s something to bear in mind if you’re still really nervous. But, if a pet is more engaging and adorable than you are, there’s always a chance it’ll get hired instead. Although halloween is just around the corner, coming to a job dressed in a costume might be seen as being a bit inappropriate. It doesn’t matter if you’re wearing the most historically accurate ruff ever, you probably won’t get a job as a museum curator. Even going to a film audition in full costume is often frowned upon. Although, everyone knows that a suit and tie is the real costume here. Crying is also a common interview faux-pas. This will make you look over-emotional and incompetent, rather than passionate. If a company could hire a robot to do the position you’re looking at, they would, and any crying is a harsh reminder of your weak human interior. Although, a robot could definitely do what they do. It wouldn’t be too hard to programme a bin to ask where you see yourself in five years. So, hopefully that’s cleared up any paralysing fear you had about your impending job interview. And in serious danger of giving actual advice, always remember to prepare and rehearse as much as you can before an interview. You can never be too prepared for an interview. Unless you consider getting the dog into the lift and to the interview preparation. Then maybe dial it down. Prepare your answers, talk to yourself in the mirror, look into the eyes of a winner. Make sure you have questions to ask them afterwards, to show that you’re really interested in the position and willing to learn. Practice the firmest of handshakes, take a deep breath and don’t panic. Business Insider has a great article here about how best to spend your fifteen minutes before an interview. This entry was posted in Interview Advice. Bookmark the permalink.